As many of you know, I have been enjoying my role as Director of Operations at Lucas Oil School of Racing. In this role I have the opportunity to manage client relations, write our annual schedule, write rules, hire/train/book instructors, negotiate contracts with our partners and vendors, event manage our races and schools, and much more. Our amazing Crew Chief, David Metcalf, brilliantly handles the race car side of our operations, while Jim Altemus manages Sales and Marketing, and Rachel Enerson handles much of the admin. It’s a great company I’m grateful to help build into a large community of racers enoying our beloved sport. 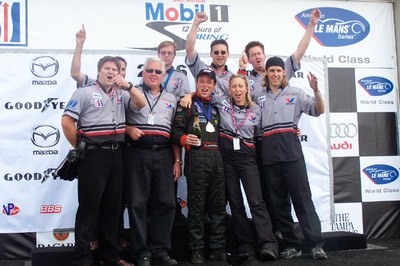 I continue to offer private client management and driver coaching in motorsports. If this is of interest to you, please shoot me an email. I also continue to offer test-driver services to further development of your race car. If I can’t drive your car well enough for your needs, I’ll find a qualified driver for you. And finally, if you sim race or have given it some thought and wonder how it will help your real world racing, email me and we’ll get a conversation started. Indianapolis, IN - The Cooper Tires presents the USF2000 National Championship powered by Mazda series completed its third round of the 2011 season with a 70-lap oval race at Lucas Oil Speedway, just outside Indianapolis. Gerardo Bonilla served again as driver mentor to the 15 drivers entered. The 70-lap feature was won by Petri Suvanto, driving for Cape Motorsports with Wayne Taylor Racing. Suvanto first had to fend off an incredible start by Andretti Autosport driver Spencer Pigot, who jumped nearly into the lead by Turn 3 on the opening lap from his 6th place starting position. 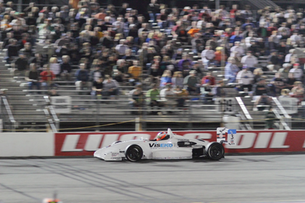 Pigot then fell to 3rd behind his Andretti Autosport teammate and 2nd place starter Zach Veach. Suvanto and Veach battled for the lead, while sleeper Luke Ellery driving for JDC Motorsports mounted his charge to the front after falling as far back as 8th. Before the leaders knew it, Veach had been demoted to 3rd by Ellery. In a classic short oval traffic play, Ellery used his momentum to blast into the lead as Suvanto slowed for a lapped car in Turn 1. Luke Ellery would continue to lead ahead of Suvanto and Veach, until Rodin Younessi, driving for Pabst Racing Services, spun in Turn 3, collecting the race leading Ellery. “I thought (Younessi) would lock up the brakes or drive it down low. I was already high, so I stayed high, and he slid up the track. I had no where to go.” recounted a disappointed Ellery. Petri Suvanto timed his restart well and continued to hold off a hard charging Zach Veach until the finish. Juan Piedrahita, driving for JDC Motorsports, would finish third, ahead of Spencer Pigot and Wayne Boyd. As a driver mentor to all the drivers, Gerardo Bonilla’s night was equally exciting from his perspective in the control tower. “I was on pins and needles the entire race. Are you sure it was only thirty minutes? I want all the drivers to do well, so every time they were close, which was every lap, I was nervous as heck up in race control. I had Johnny Unser up there with me to help evaluate the drivers, making my job a lot easier! Those guys put on a hell of a show. Only one caution, and lots of awesome racing. The fans should feel great about what they saw.” related Bonilla. 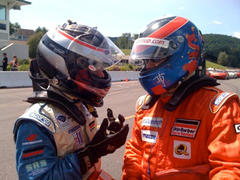 Watkins Glen, NY - Gerardo Bonilla has added more work to his 2011 professional driving repertoire in the form of test driver duties for the Skip Barber Race Series. 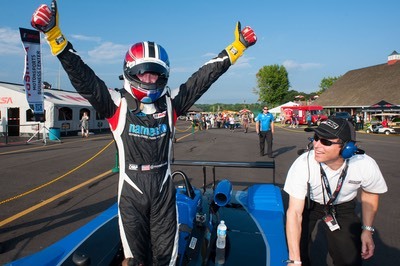 Most recently, Bonilla tested the Skip Barber Formula 2000 cars at Watkins Glen International for Skip’s Regional Summer Series, in addition to his duties as a data analyst for drivers who add that service to their weekend. “Greg Strelzoff was our only customer for the intensive data day on Thursday, so the staff asked if I would spend time on test driver duty to help with car equalizations and fixes. 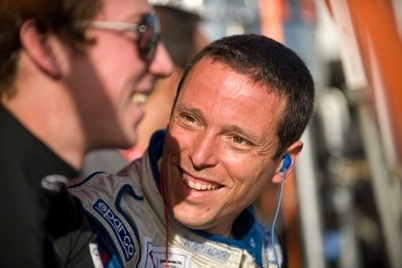 It’s a great job to have by any driver’s standard, so I couldn’t pass it up,” related Bonilla. 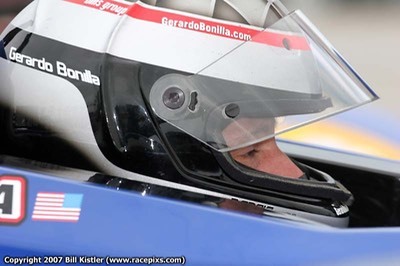 Bonilla also tested for Skip Barber at the recent Skip Barber National races at Virginia International Raceway in late April. At that event, the cars were fitted with the latest specification BFGoodrich R1 competition slicks. Bonilla likes to point out how much the slicks change the character of the Skip Barber Formula cars. “It basically makes the car a lot like other much faster, and much more expensive formula cars like the Star Mazda and Atlantic cars. You get the satisfaction of driving into the corners with ridiculous amounts of entry speed, then carefully decelerate the car with just the right amount of brake release. It’s really awesome, frankly!” commented Bonilla. 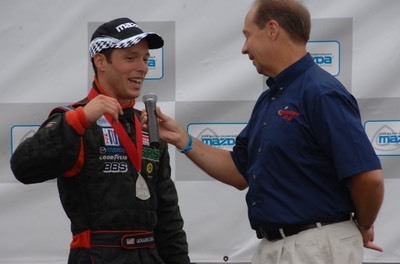 Gerardo Bonilla will be hosting several online previews for Skip Barber National and Regional drivers participating in upcoming race events at Sebring and Virginia International Raceway in mid and late April, 2011. 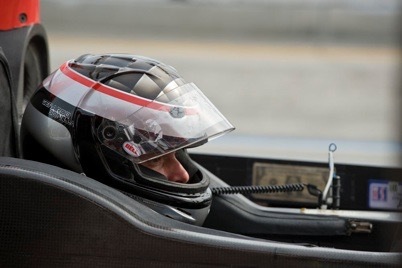 Online previews are private or small group coaching sessions reviewing in-car video, track maps, and the finer details of the Skip Barber Formula 2000 car at these tracks. These sessions will help you get your head in the game for your upcoming race weekend. Sessions are available by appointment. Please email Gerardo at info@gerardobonilla.com to make a reservation or to test your computer system in advance. More information on the Coaching page. Sebring, FL - Gerardo Bonilla announced today he has renewed coaching programs with the USF2000 National Championship powered by Mazda series and with Performance Tech, a leading Florida based team fielding cars in the American LeMans Series LMPC category and in the feeder Cooper Tires Prototype Lites championship. 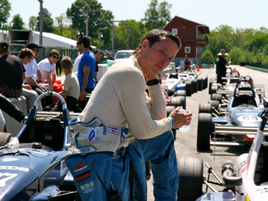 Bonilla will also be coaching drivers in the Skip Barber National and Regional series all year long, conducting test driver duties for both series as well as video and data coaching services both in person and online. On the driving side, Bonilla continues to pursue business partners who could help get him back in the seat of a car. “I’m no different than any other driver this stage of my career. If it doesn’t make good business sense, there’s no sense in taking the risk of driving. When the right opportunity comes, it will be a wonderful moment to drive for a team again, or start my own. I miss the professional and technical parts a driver works on each race weekend. I still get to do some testing, but nothing beats a green flag,” related Bonilla. 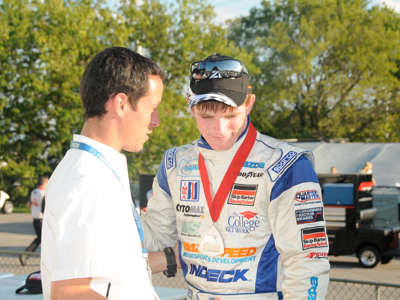 Look for Bonilla at the USF2000 hospitality tent or at Performance Tech in the ALMS paddock this weekend, March 14-19, 2011 at Sebring International Raceway! Holy moly, I almost forgot what a race weekend was like! It's a non-stop series of duties, one after the next, from meetings, to radio fixes, seat fitting and refitting, driver change practice, scale pad time, and of course, practice, qualifying, and the race. I had forgotten how much I miss it all. It's intense, its cool, its a world of its own. And it's completely different from coaching. I had never driven the LMPC car until Friday morning's practice session. The opening laps were like installing new software on a freshly installed blank computer hard drive. All the lights were blinking away, but somehow, I just knew everything would turn out okay. The car was not at all as heavy as I had predicted. It was even nimble! It had enough power to be exciting, enough grip to keep your attention throughout the cornering process, and enough zoomy features to be a LMP car. The new softer compound Michelin tires did a remarkable job with the Oreca/Courage chassis. The paddle shift system is still in version 1.0, completing shifts slowly enough to knock my head forward and back as if it was my first time driving a stick shift in a street car on perhaps about 15% of the upshifts. Can you believe the less time I held the upshift paddle, the less time it delayed power? I don't understand why the programming of this car seems so unsorted. "Hey Eric (my engineer)... can we modify the shift timing, throttle modulation in duration and amount?" "No." Huh? The software is locked, no touching allowed. It's a spec category. Hopefully the next software update improves this. With thirty-six cars on the short Long Beach street circuit, the sessions were always full of action. It was a rare lap to be alone and put in a clean time. My teammate Kyle Marcelli was a quick study of Long Beach having driven the LMPC at the ALMS test in February and the Sebring 12-hours. It's his season, so he qualified us. He was up to P2 in qualifying when during the red-flag period we discovered a piece of Dodge Viper from the World Challenge series stuck deep in our left-rear tire. Qualifying was done for us, so we would start 4th. I had the pleasure of starting the race. In typical Long Beach fashion, by the time I exited the hairpin Turn 11, the field was already at 100% throttle, so it was just like another race lap. Things were fine until in the traffic jam, a car from behind drilled us in Turn 11. Then on another restart, another car jumped the green and hit the car ahead of me in Turn 11, causing us all to nearly park. Several GT cars slipped up the inside. The GT's have more power than us, so it would take a large portion of the stint to get by some of them. Nevertheless, we were running 3rd in LMPC and around 7th overall. I finally had a chance to get settled in the car and enjoy a long run. It's interesting how much more of the track you can explore, how many more inches closer to the walls you can allow yourself to drive, how much later you can brake with some repetition. The LMPC car is so much more fun to drive than I had imagined. I made a pass on a Flying Lizard Porsche, then later on a factory Corvette. In 2008, the Lola Mazda could easily get by these guys. 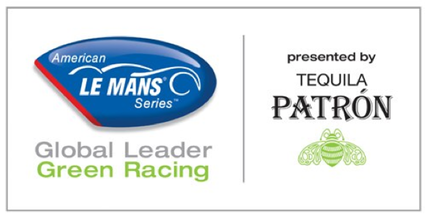 But, the LMPC, as I mentioned, has less power than the GT cars, so you have to be driving a perfect lap to be faster. Just after passing the Corvette, it was full-course yellow, and time to pit. We wanted to get a lap back, so we waited behind the pace car for the wave-bys. Once the pace car passenger started his hand gesture, I drove past and drove into Turn 1. In an instant, I had radio chatter in my ear, cold tires... and why did I look in my mirrors? For some reason I was still mentally considering if that pace car had actually given me a wave-by. As a coach, I often remind my drivers to focus forward and think about what's next. I failed at my own advice, and promptly stuffed the car into the tires at Turn 1. Embarrassing, heart-wrenching, disappointing. The first thing I could think of was how many points I just cost my teammate Kyle Marcelli. The kid had worked so hard to get here, I just wanted to give him a car on the lead lap in good position. We were in 3rd, and the wave-by might have put us up higher. Easily, this day was a podium and a chance at a win. Instead, we finished a few laps down in 5th place. There were lots of great moments to remember, of course. Being stuffed in the tires was a real test of patience and trust. 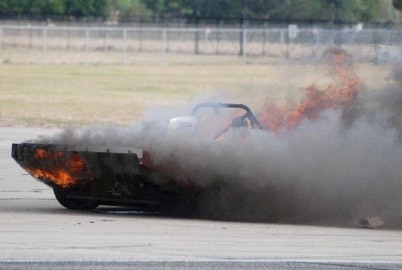 The safety guys were motivated to get us back in the race once it was clear I was not hurt (not a scratch on me). The fans cheered when I crawled out of the car. Then, once Kyle was in the car, watching him drive even quicker was really special, even with a mirror torn off the car. The team was supportive and consoling. Sure, they were as disappointed as I, but they had big hearts and told me I had done a better job than I gave myself credit for. It's not easy to arrive at a street race with zero testing in a car you've never driven before. I trusted my experience that it was doable, but it is definitely difficult to do well. Thanks to Brent, Frankie, and all the Performance Tech / Primetime Race Group guys for working so hard all weekend. Thanks to Kyle Marcelli and his support team for being so supportive. Thanks to Anthony Nicolosi for being such a key player in this team. Thanks to all of you for your support! You were riding along with me the whole way. With school, work, and family time, I've not had time to write a press release or a personal log, so I'll start with this and write more later. I've been asked to drive a LMPC prototype at Long Beach this coming weekend. I will drive a car entered by Performance Tech, teaming with the young and fast Kyle Marcelli. 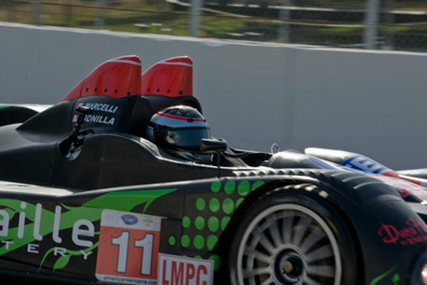 The LMPC is an Oreca carbon tub, much like a typical LMP car, but with a spec V8 engine and many spec chassis parts, from shocks to springs, gear sets, even the steering wheel is spec. In Europe they are called Formula LeMans. 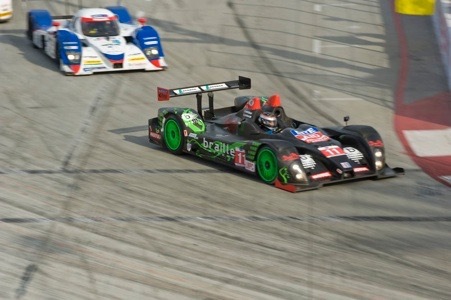 Here, the ALMS has combined LMP1 and LMP2 into one LMP class, and added these new spec cars as LMP Challenge, or LMPC. They are slighly heavier and slightly less powerful than the LMP2 Lola Mazda I drove in 2008, but still a wonderful challenge. I've been working with this team on a coaching and consulting basis for about the last year or so. For now, this is a one-race deal. Of course I would love to drive more races, but there are always things out of my control. 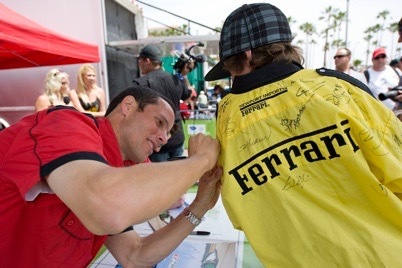 All I can do now is do a good job for the team and help Kyle to learn Long Beach. As you know, there is a ton of work behind the scenes to make a race happen. My good friend Anthony Nicolosi, also one of my drivers in Prototype Lites, has put in a huge effort to make this race possible for our team. Additionally, team manager Brent ONeill and his crew work as hard as any top team I've been with. I cannot find the words to describe how happy I am to be back in driver mode! Watching video, studying data and notes, discussing issues with Kyle and the team leadership, planning strategy, thinking about corporate guests and fans, wow, I miss it so much. Thanks for letting me share. If you have the time, the race will be on SPEED this Saturday April 17 at 8PM Eastern. Many thanks to all of you who have supported me over the years. I could not have done this without you. And special thanks to my family, who have given me immeasurable support in recent months.